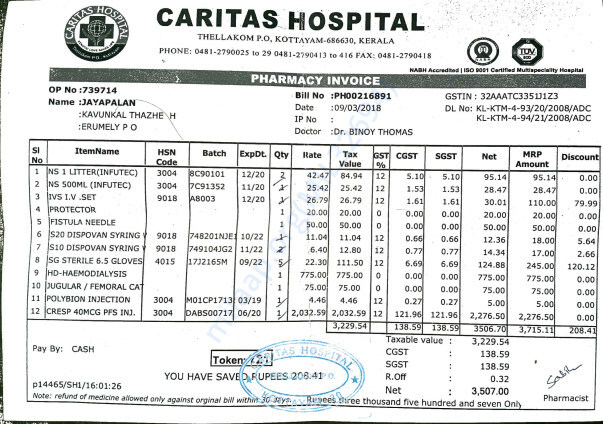 For the last three months Jayapalan is travelling 120 kilometers by bus twice every week to take dialysis. 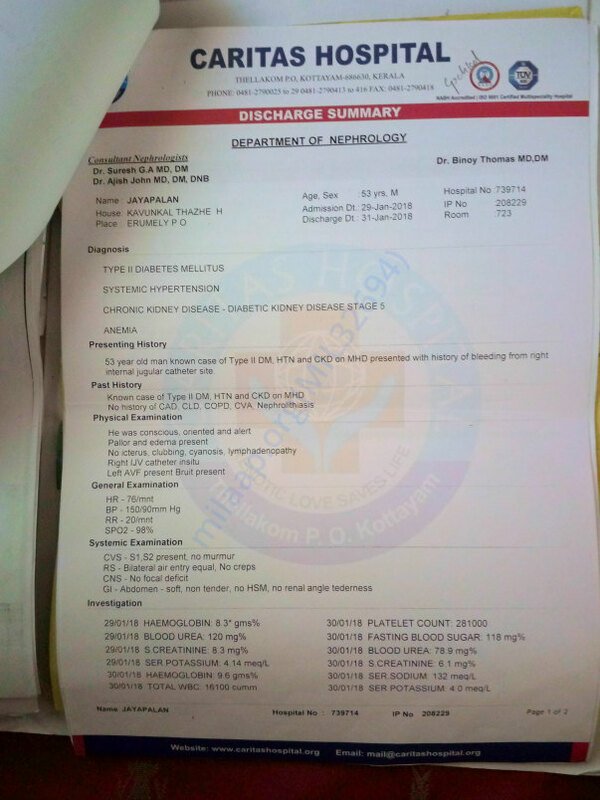 His both kidneys are affected seriously and doctors saying that dialysis must continue to live. 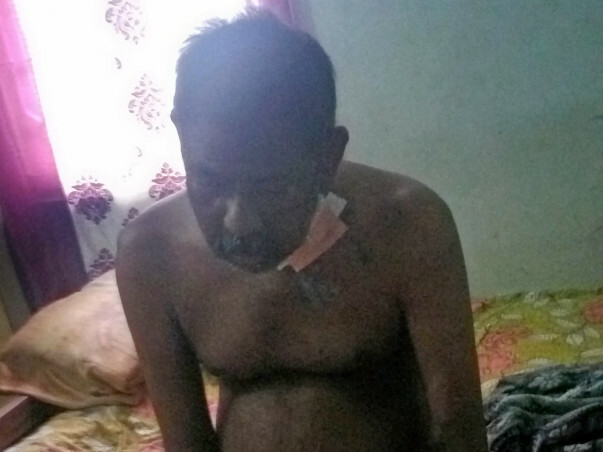 This financially very weak family is struggling for arranging money for treatment. weekly two dialysis and Cresp 40MCG injection is needed. 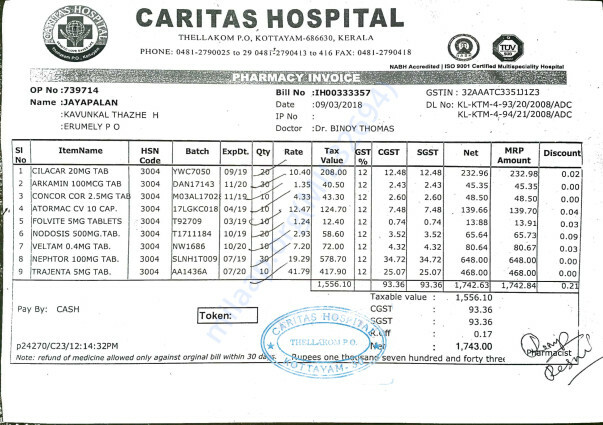 it costs nearly 6000 and daily medicine worth of 170 rupees. His son was working in a private company. He lost his job because taking continuos leave for bringing his father for treatment.